Born in Norfolk, Va. on September 30, 1953, Mr. Garland went to Norview High School until February of 1972 when he joined the Army and graduated with a GED. In March of 1975 Mr Garland was medically retired from the Army and traveled extensively across the US living in 11 states and visiting all but Maine and Alaska. In and out of VA medical centers, Mr. Garland finally went to Holyoke Community College and earned an AA in English literature in June of 1991. His constant need for travel led him to finally settle down in the mountains of North Carolina. Throughout the years Mr. Garland has published in several anthologies and newspapers across the country. His poetry was his first love until he joined a writer/artist forum called Redbubble. There he wrote and posted many more poetry and short stories. 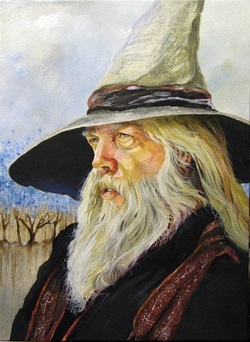 Inspired by other writers and artists he started to write stories of a wizard accompanied by two friends - an owl and a mouse. There he was greatly encouraged to compile and expand his stories into a book, "Endor the Wizard." That book developed into a second book, "Endor's Adventures", with a third and final book in the series, "Endor: The Final Chapter." He plans on writing many more books in the years to come which will explore the many facets of his character. His stories will delight the hearts of both young and old for generations to come.